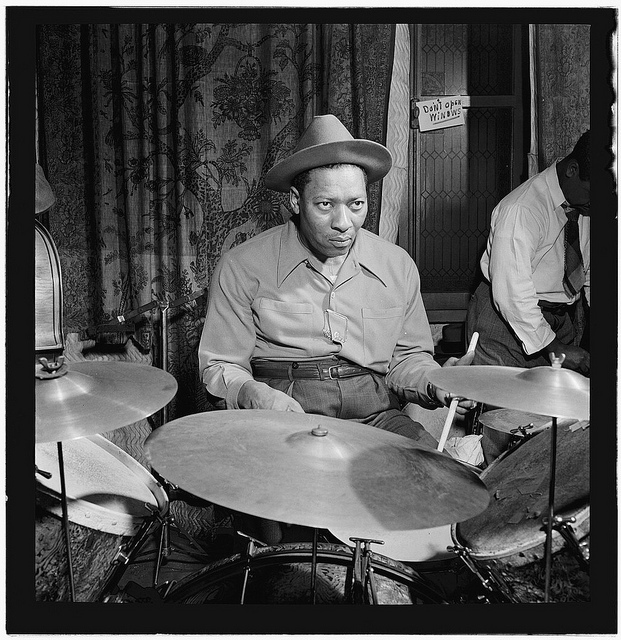 Catlett was born in Evansville, Indiana, and started at piano, but switched to drums and entered formal study when his family moved to Chicago. His career began in Chicago in 1928 with Darnell Howard. In adulthood he moved to New York City and worked with Benny Carter, Fletcher Henderson, Elmer Snowden, Dizzy Gillespie, Charlie Parker, Ben Webster, and others. In 1941 he joined Benny Goodman's band and after that joined Teddy Wilson's Sextet. In 1944 he did an album with pianist Harry Gibson. He also had his own band and played for Louis Armstrong's All Stars from 1947 to 1949 and became his drummer of choice. He played bop, dixieland, and other styles. In early 1951 he began to suffer from pneumonia. In that same year he died of a heart-attack while visiting friends backstage at an Hot Lips Page benefit concert in Chicago, Illinois. In 1996 he was inducted into the Big Band and Jazz Hall of Fame.